I’m posting this right after recording PhotoNetCast #27 in which I was invited to join a discussion on High Dynamic Range (HDR) photography. These notes are intended to provide a bit more information and a few pointers if you are interested in looking at the kinds of images we will be discussing and also learning how to produce tone-mapped HDR images for yourself. Photographic tastes are very personal but, to get things started, I would recommend looking through the work of some of these folks who I think do a fantastic job of showing HDR techniques used extremely well. I would be foolish to suggest that these are the best HDR photographers on Flickr but they are certainly the ones whose work I follow closely and very much enjoy. These are in no particular order. 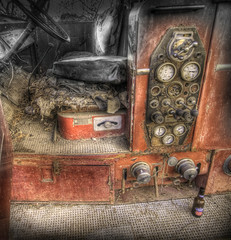 Trey Ratcliff (stuckincustoms) is probably known by many as the king of HDR. He travels extensively and posts new photos daily. 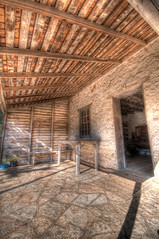 His blog is also well worth following and is a great place to start if you are looking for an HDR tutorial. ~EvidencE~ (who doesn’t provide a real name) posts wonderful examples of HDR depicting industrial scenes and decay, in addition to some superb landscapes. Roman Solowiej (shexbeer) also concentrates on images of decay and destruction where HDR techniques are used to great effect to accentuate texture. Karl Williams (Shuggie!!) takes wonderful urban and landscape images using HDR techniques for the majority of his pictures. Many of Karl’s images are taken around my old stamping grounds in Glasgow, Scotland. Erlend Robaye (Erroba) produces beautiful citiscapes and abstracts using HDR techniques. Jerry Hayes (JerryHayesAustin) is a local photographer with whom I have had the pleasure of shooting a few times. I’m linking to his set of Special Event Photography images since these are fabulous examples of how HDR can be used subtly to produce natural looking results in tricky lighting situations. Steve Sawford (Steel Steve) is another UK-based photographer whose urban HDRs taken in the industrial north of England are superb. Raul Pires Coelho (raul_pc) is based in Portugal but posts urban and cityscape HDRs from around Europe. Sarah Peters (sarah_peters1) is based in the town of Douglas in Scotland (9 miles from my home town, as it happens) and uses HDR techniques on many of her stunning landscape shots. Again, her images show wonderful use of HDR to produce natural-looking results. There are loads of web-based resources for learning HDR but I find having a good old fashioned book a great way to learn. Here are three that I particularly like. “The HDRI Handbook” – Christian Bloch. I found this book extremely helpful but it would probably be better read after having worked with HDR for a while since it covers a fair bit of theory. It does a great job of comparing software tools and also comes with a CD containing various images and evaluation copies of some of the tools. “The Complete Guide to High Dynamic Range Digital Photography” – Ferrell McCollough. I’ve just bought this book and have not yet had a chance to read it through. From what I have seen, however, it looks to be a very practical guide and probably a great book to read as someone wanting to start shooting HDR images. “Mastering HDR Photography” – Michael Freeman. I picked this book up and had a look through it in our local book store recently and was very impressed. It covers a lot of ground and has a very good mix of technical and practical information. 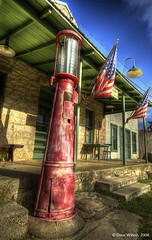 I use a combination of Adobe Lightroom 2, Adobe Photoshop CS3 and HDRSoft Photomatix to produce my HDR images. You can do the vast majority of the work in Photomatix alone but I find that Photoshop does a better job of merging images if there is any movement between the exposures and I feel that I get better images if I use the Photomatix export filter for Lightroom rather than loading the raw NEF files directly into Photomatix . Regardless of which tool I use to generate the HDR file, I always use Photomatix for my tone mapping. HDRSoft offer an evaluation version of Photomatix which watermarks its output and also a useful tutorial to get you started. The tool itself costs $99 but if you use coupon code “DaveWilson” when you are checking out, you will get a 15% discount. Another tool I have played with briefly is Ariea HDR Max. This has a more polished user interface than Photomatix and one feature that I really like – the ability to turn on and off the contribution of any single exposure to the final HDR. That said, I found the tone mapping settings less flexible than Photomatix and had trouble especially with the gamma slider which seemed to generate enormous changes in the image with tiny movements. This may be fixed now and I would encourage you to download this trial version too to see how you like it. I also have FDRTools on my “must check this out” list. I’ve seen some superb images created using this software but have yet to download the trial and play with it. The package is very inexpensive and endorsed by some of the big names in the HDR world so it’s definitely worth a look too. Many, many other freeware and commercial tools exist to generate HDRs and tone map them so try as many as you can and settle on whichever gives you results you are happiest with.